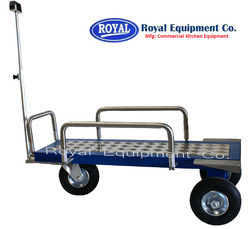 Manufacturer of a wide range of products which include multi purpose trolley, tea snack trolley, platform trolley, three wheels trolley, heavy duty platform trolley and trolley with grill platform. 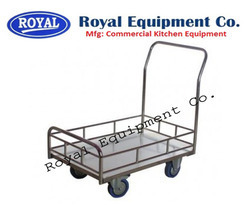 We are a noteworthy manufacturer and supplier of premium quality Multi Purpose Trolley. 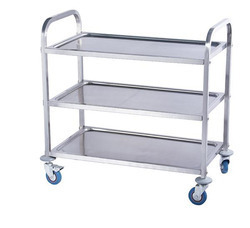 Manufactured using supreme class raw material in line with international standards, this trolley is precisely checked by our experts on various quality parameters to ensure its flawless finish. 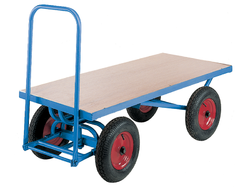 Available in diverse sizes and designs to meet the various needs of clients, this trolley is offered at very affordable price to the clients. 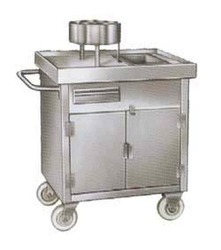 As a well-known manufacturer and supplier, we are offering our clients a high quality Tea Snack Trolley.Designed and manufactured in compliance with international standards using optimum quality raw material and advance technology, this trolley is also checked on different quality parameters to ensure its fine finish. 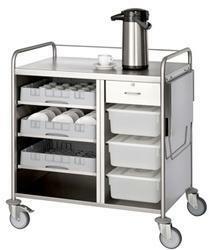 We offer this trolley at industry leading price to the clients. 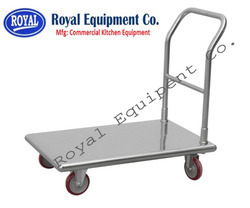 Heavy Duty Platform Trolley with all side covering.